Just found time to finish this little mash off. Had to cut up the U2 mental to fit the Beatles pella verse and chorus, but I think it still works. The mental isn’t as good a quality as I’d have liked, but can’t find a better one out there. Anyway, hope it’s still enjoyable! Feedback welcome. Cheers. 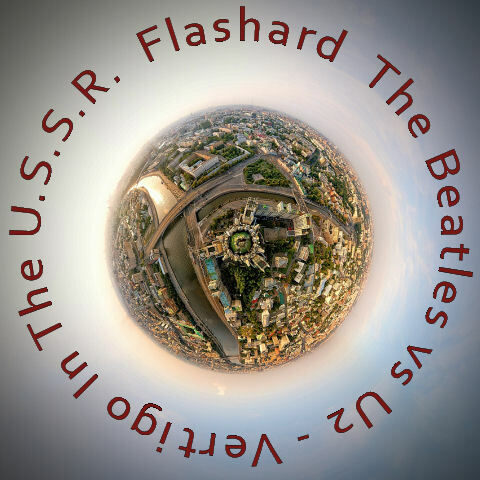 DJ Flashard – The Beatles vs U2 – Vertigo In The USSR. Mixed using The Beatles – Back In The USSR (Acapella) and U2 – Vertigo (Instrumental and DIY Acapella). Well, I wanted to do something a little different, so having laid my hands on the Nickelback pellas I thought I’d have a go at releasing an EP with 4 tracks on using vocals from the same band. The mentals are from a number of different artists. Hopefully they present Nickelback in a slightly different light. Anyway, would love to know what you think. Cheers. 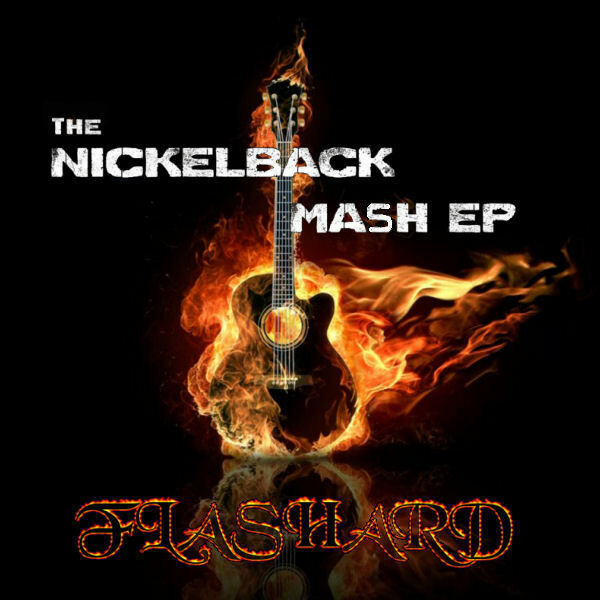 DJ Flashard – The Nickelback Mash EP. Track 1 – Nickelback vs Britney Spears – Big Fat Rockstar. Mixed using Nickelback – Rockstar (Acapella) and Britney Spears – Big Fat Bass (Instrumental). Track 2 – Nickelback vs Maroon 5 – Burns Like Jagger. Mixed using Nickelback – Burn It To The Ground (Acapella) and Maroon 5 – Moves Like Jagger (Instrumental). Track 3 – Nickelback vs The Script vs Green Day – How You Break 21 Guns. Mixed using Nickelback – How You Remind Me (Acapella), Green Day – 21 Guns (Acapella), and The Script – Break Even (Instrumental). Track 4 – Nickelback vs James Blunt – Beautiful Photograph. Mixed using Nickelback – Photograph (Acapella) and James Blunt – Beautiful (Instrumental).